When you are of that age when you are not considered anywhere to be an adult but start gaining interest to hear a lot of adult things, it is very difficult to judge what is wrong what is right. It was summer vacation time and I was probably passing 8th standard and was about to enter 9th, I heard from Sukuta that Kunei eloped with Gopala. Gopala was a lean thin boy and the elder son of the village barber, Sudam Dada. Since childhood I always had an image of Gopala in my mind as a boy always busy wiping off his ever flowing nose with one hand and holding his loose half pant in the other. He was about two years older to me, whereas Kunei was about of my age. She was the motherless child of the village Dhobi. Kunei was dark complexioned thin girl, was known for her boyish attitude. I knew all these kids very well because; they were students of my Aunt's (My fathers' Sister) morning tuition classes during my childhood days. Few among her students managed to pass 10th standard whereas most of them left studies and joined hand with their parents' occupation. Gopala was the 1st to leave his studies and then Kunei left as well. Thanks to Dija's Uncle's Black & white Konark TV (The 1st TV in the village). It was a concise exposure of Odiya Cinema, Albums & Romantic songs to the budding young minds of the village. It brought a lot of transformation in the life of Gopala. Once in a month he started going Jagatsingpur, the nearby city to have his hair cut in the famous saloon of the city. He shunned wearing loose half pants and wore best of best clothes available in the latest fashion. Changes appeared in Kunei also. Black though, beautiful was she. Her boyish nature disappeared and she became a shy gracious black beauty. Even I felt something within, when I first looked her after “The Transformation”. As I remember of Kunei, she lived in a small isolated house with her father and little brother Kuna. 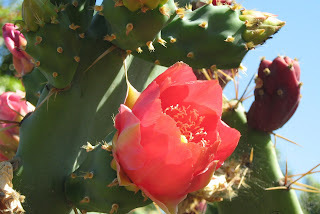 There were huge Cactus bush around the little house, giving a natural fence to the house. As a kid I used to visit her house with the village kids to play in the small field near her house. Most fascinating attraction for me were the cactus bush, as it bore beautiful pinkish flowers with pleasant fragrance. But how beautiful the flower might be, nobody plucked it to use it for Puja. However it charmed the little house of Kunei. Kunei’s father, whom I called Naba Dada, popularly known as Naba Dhobi among the villagers, was the kindest person in the village. He lost his wife, during the birth of Kuna. My Parents liked Naba dada a lot and use to bring new clothes for Kuna & Kunei during festivals. When I heard about her & Gopala, I was curious. What was actually happened between them. It was Sukuta a common friend, told me that Gopala developed feelings for Kunei, during last years’ Puja festival. Both were cracking jokes & were teasing each other in the village fair, most of villagers have witnessed it. These developments between them were eyed with rage among the villagers. The Barika community (which was considered to be higher of the Dhobi community) warned Naba dada to keep Kunei in control. Naba dada scolded Kunei a lot. But Kunei did not realize what was her mistake. Is it bad to laugh with a boy who happens to be a childhood friend? Because he has grown up and the growing age has brought changes it doesn't mean that one cannot laugh and enjoy at free will. It was actually Gopala, who was seriously thinking to start a relationship with Kunei. He has indirectly told many of his friends (even Sukuta) about his feelings about her. But for Kunei, it was just a different feeling. It was during one next year’s winter evening, both were caught red handed while speaking to each other near that cactus bush. There were so many versions of self-made stories to describe what was happened between them that evening. But Sukuta Said that Kunei was tearful when they created a drama out of the issue. Gopala was being scolded like anything. She kept on saying Gopala called me and said, “Kunei Mu tote bhala paae, aau tote baha hebaku chahein” (Kunei, I Love you & want to marry you) and nothing happened. She even didn't know what they all are suspecting about!!! Gopala & Kunei ran away three days after the event.